Korena of Korena in the Kitchen was our May Daring Bakers’ host and she delighted us with this beautiful Swedish Prinsesstårta! 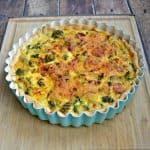 When I saw that this was our Daring Bakers’ challenge this month I was so excited! 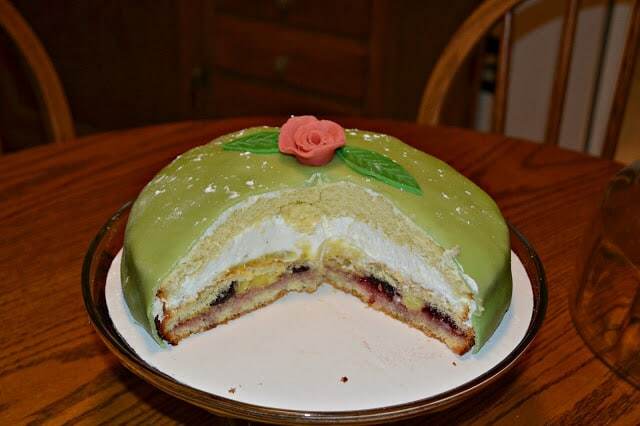 You see the first time I had a slice of Princess Torte was in a restaurant with my husband. Back then we were just dating and the restaurant was a fancy place we would go to on holidays and special occasions. The woman that ran the restaurant was a skilled pastry chef and her specialty dish was the Princess Torte. Every time we went I would swear I was going to get something else for dessert but I would end up with this cake. 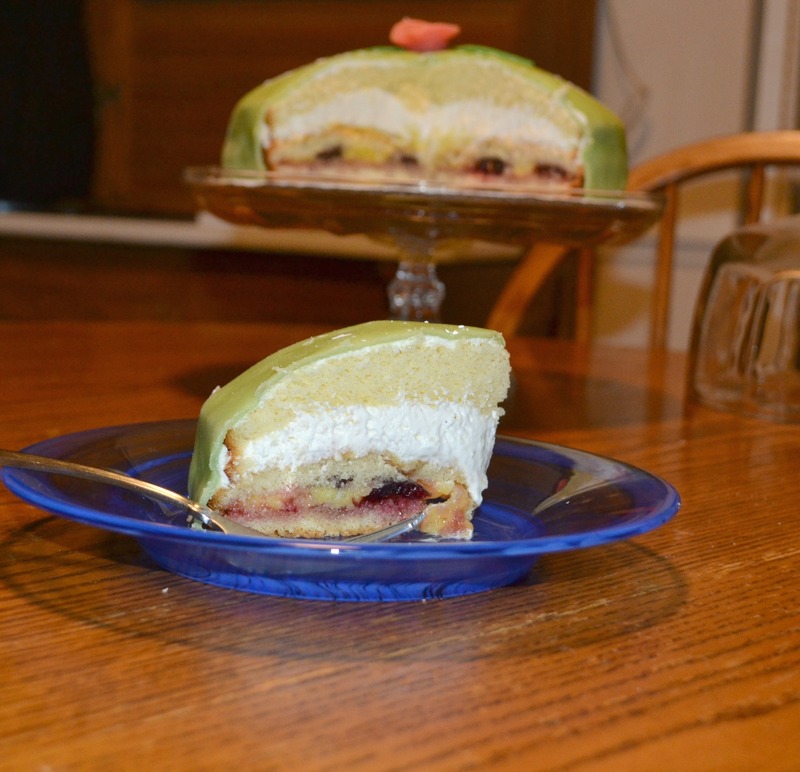 The combination of pastry cream, fresh jam, cake, and whipped cream was just too good to pass up. That restaurant will always have a special place in my heart. It’s where we had dinner right before my husband proposed to me. Unfortunately it has since gone out of business and there is no where else in the area that has the Princess Torte. It’s been at least 2 years since I’ve had a slice of it and I’ve really missed it. So when this challenge came up I couldn’t wait to make it for myself. I’ll admit that I was totally intimidated by this cake. There were so many layers that I was sure it would flop. The part I was most worried about was the cake. 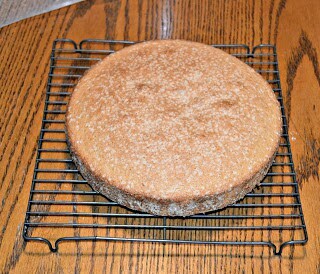 A very small amount of batter makes one 9 inch cake that needs to be sliced into 3 layers. I was so nervous I wouldn’t cut the layers straight and the cake would crumble. Luckily that cutting went off without a hitch. I then made the pastry cream and flavored it with vanilla and nutmeg. For the jam I used my homemade cherry jam which I thought would pair wonderfully with the vanilla and nutmeg. I also added vanilla and nutmeg to the fresh whipped cream. Once I had all of the components made, the cake was fairly easy to put together. 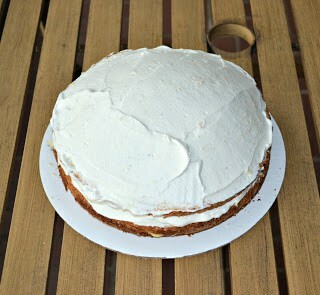 I will say that I didn’t believe the mound of whipped cream would hold the final cake layer but it held! Surprisingly I had marzipan in the refrigerator so I didn’t end up making my own. Coloring the marzipan was tricky but I finally got the right colors. It was easy to roll out and cover the cake. 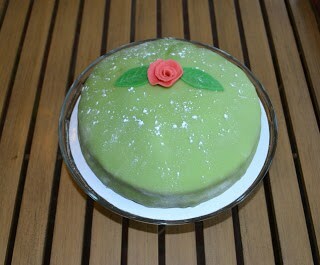 It made it look really pretty, especially with the marzipan rose on top. The finished cake was unbelievable! 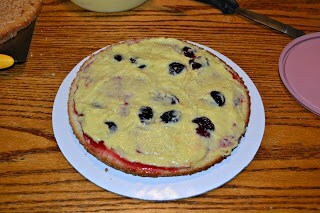 Vanilla sponge cake, layers of vanilla nutmeg custard, homemade cherry jam, fresh whipped vanilla nutmeg cream, and the marzipan made for an incredible dance of flavors in my mouth. 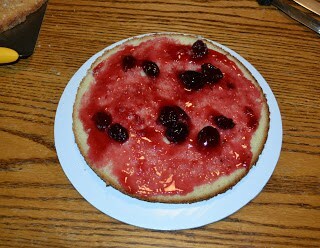 My husband and I liked it so much we had a slice for breakfast the day after I made the cake. We shared with some of our friends and they were impressed with it as well. 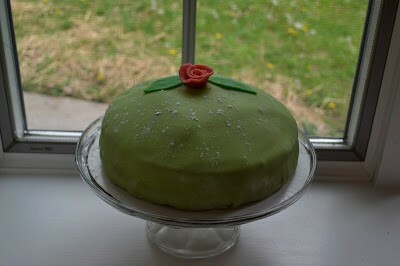 In fact, I liked this cake so much I’ve decided I’ll be making it again in July for my own birthday cake! 1. Preheat the oven to 350 degrees. Line the bottom of a 9 inch springform pan with parchment paper and dust with flour. Set aside. 2. Combine the eggs and sugar in a large mixing bowl. Using a mixer beat at medium high speed until the mixture has tripled, about 5 minutes. 3. 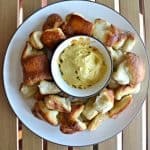 In a small bowl combine the flour, baking powder, and salt. Pour over top of the egg mixture and gently whisk until blended, keeping as much air in the batter as possible. 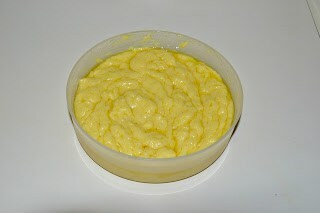 Once it is mixed, the batter should be thick and smooth. Stir in the vanilla. 4. Pour the batter into the pan and smooth the top. 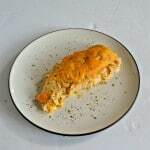 Bake for 35-40 minutes or until golden brown on top. 5. Remove from the oven and cool for 5 minutes. Run a knife around the edge of the pan and release the spring. Invert the cake onto a wire rack, peel the parchment off, and flip it back over to cool completely. 1. 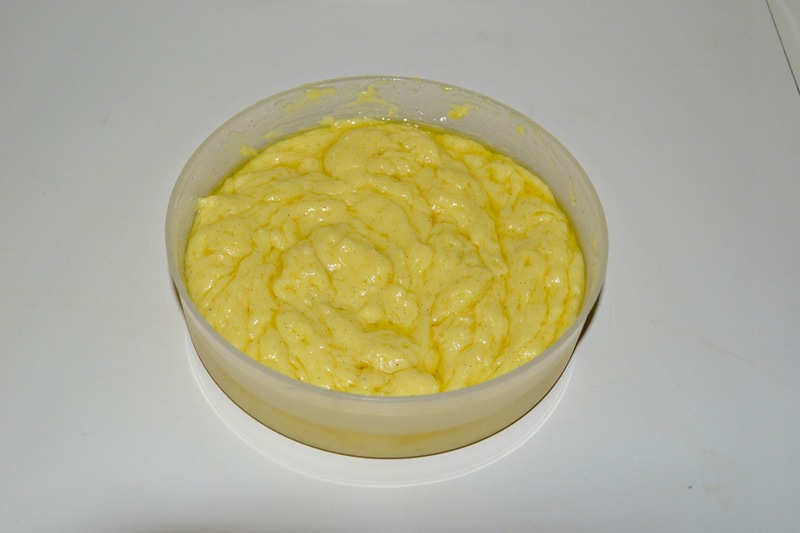 In a medium medal bowl whisk together the cornstarch, sugar, and egg yolks. Whisk in 1/2 of the heavy cream and mix until smooth. 2. 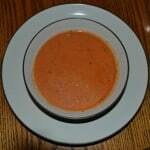 In a medium saucepan over medium heat, combine the remaining heavy cream along with the split vanilla bean. Bring the cream to a low boil then remove from heat. Remove the vanilla bean from the pot. 3. Slowly whisk the hot cream into the bowl with the egg mixture whisking constantly. Place the bowl with the egg mixture on top of a small saucepan filled with water and turn to medium high heat. 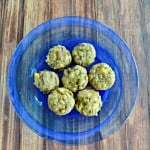 (Create a double boiler). 4. Whisk the mixture constantly until it thickens but is still smooth. 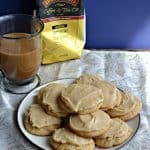 Once it is the consistency of the pastry cream remove from heat and add in the vanilla extract and nutmeg. 5. Pour the custard in a clean bowl and press a piece of plastic wrap onto the surface of the cream. Refrigerate until completely cold. 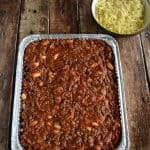 This can be prepared up to 1 day in advance. 1. Set aside about 1 ounce of marzipan. Knead the remaining marzipan until it is pliable. 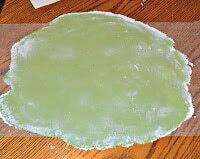 Add 2 or 3 drops of green food coloring and work it into the marzipan. 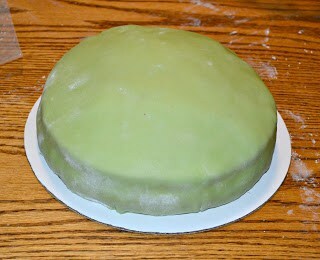 Wrap in plastic wrap and refrigerate until ready to cover the cake. 2. Divide the remaining marzipan into two parts. Add 2 drops of red to one ball and 2 drops of green to the other ball. Work the colors into the marzipan. 3. 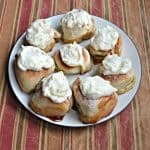 To make the rose, roll the pink dough into a skinny log. Use a rolling pin and flatten it out. Begin rolling the dough, leaving the thin edge loose to form the petals of the rose. Start rolling tightly and loosen up as you go. 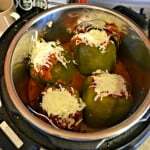 Cut off any excess at the bottom and allow to “dry” at room temperature for several hours. 4. 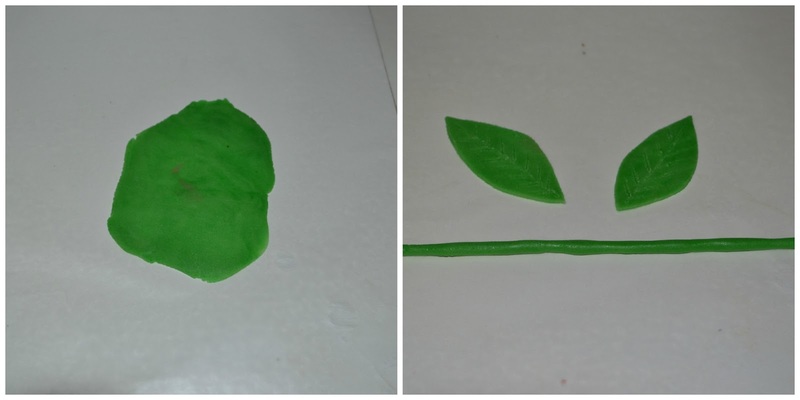 Roll out the dark green marzipan and cut two leaves out using a knife. Add details with the point of the knife. Set next to the rose to dry. 1. In a large bowl, whip the heavy cream until soft peaks form. Add the sugar, vanilla, and nutmeg and continue whipping the cream until it is stiff. Set aside. 2. 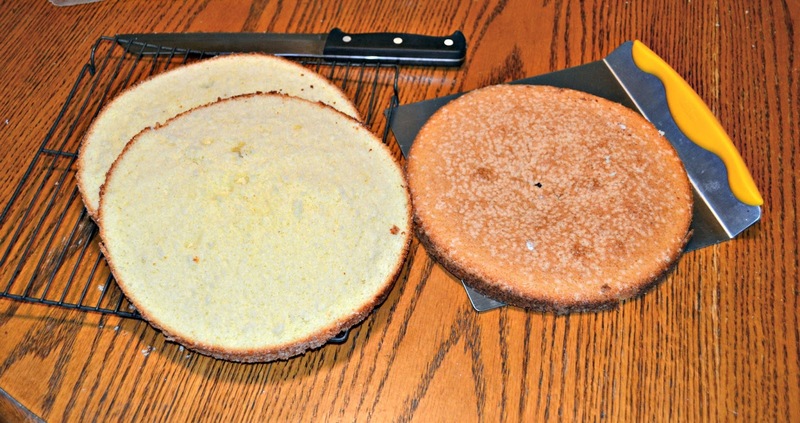 With a long serrated knife, slice the sponge cake into three even layers. Be very careful as the cake is delicate. Use a cake lifter to help you lift off each layer after you cut it. Set aside the middle layer as this will be the top layer of your cake because it is the most flexible. 3. 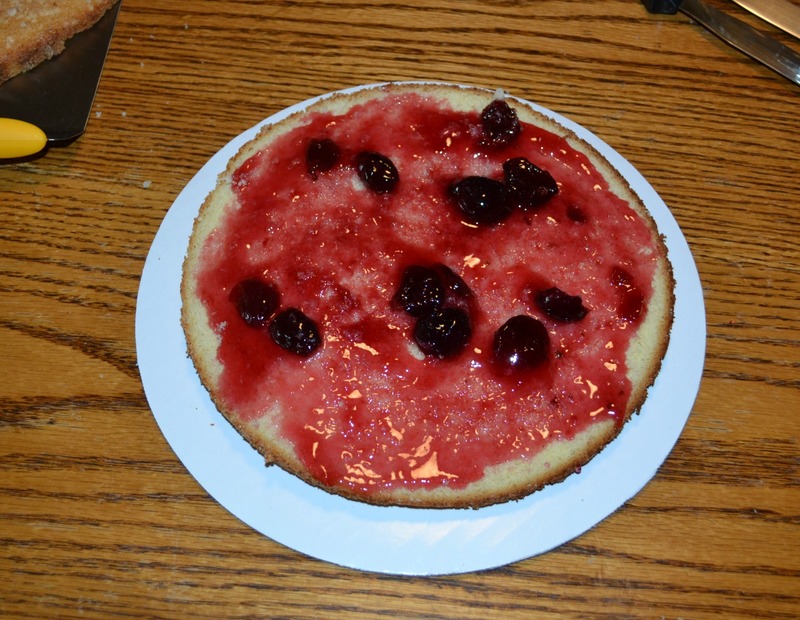 Place the bottom layer of cake on a cake board and spread it evenly with the cherry jam. 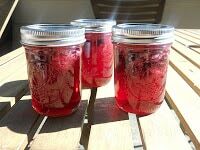 Spread half of the chilled custard over top of the jam in an even layer, leaving a half inch around the edges. 4. Top the custard with another layer of cake. 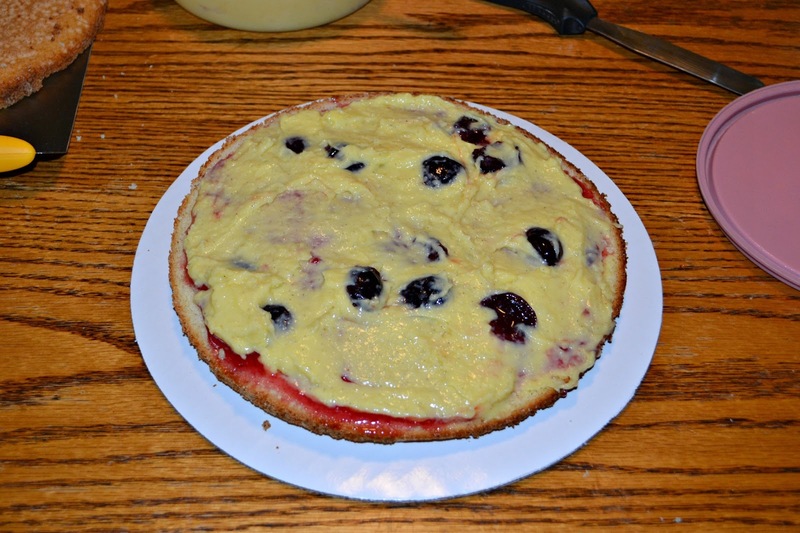 Spread the remaining custard evenly over it, leaving half an inch around the edges. 5. Put 1/2 cup of the whipped cream aside and then pile the rest of it into a mound on top of the custard. 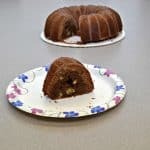 Spread it in a thick layer and then shape the whipped cream into a dome, piling it up in the middle of the cake as much as possible. 6. Place the final layer of sponge cake, the middle one, on top of the whipped cream dome. Do not press on top of the cake, just gently place the cake on the whipped cream. 7. 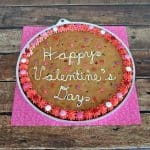 Gently spread the remaining 1/2 cup of whipped cream over the entire cake to fill in any crack and make a smooth surface. 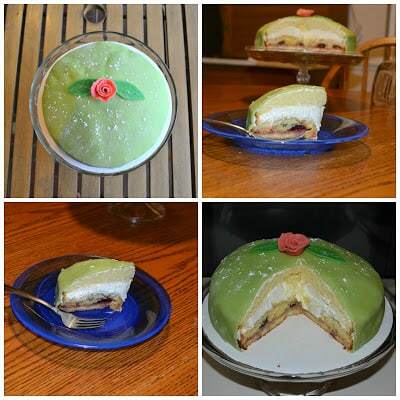 Place the cake in the refrigerator while you prepare the marzipan. 8. 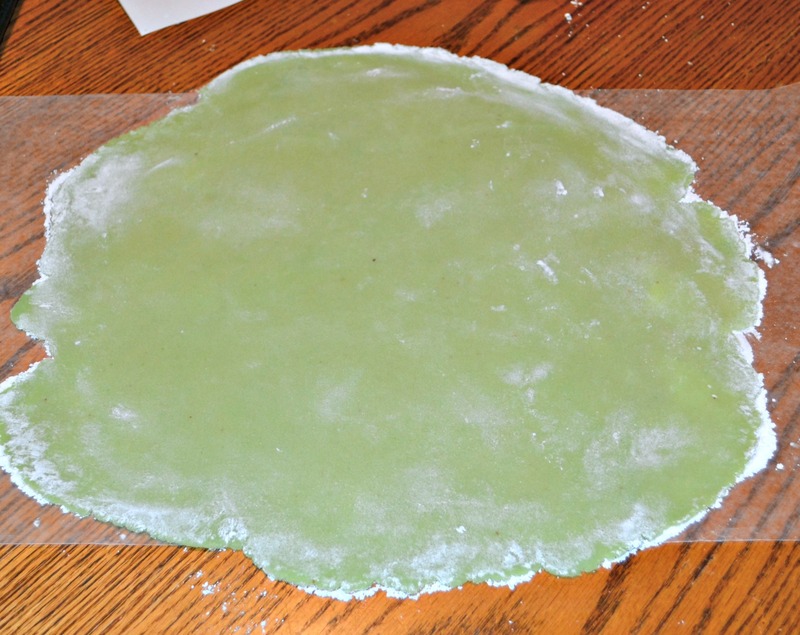 Sprinkle your work area with powdered sugar and press the marzipan into a disc shape. Coat both sides with powdered sugar and roll it into a 14 inch circle that is 1/8 inch thick. 9. Use the rolling pin to drape the marzipan sheet over the cake and smooth it around the cake gently with your hands. Trim any excess marzipan from the bottom of the cake. 10. Brush the marzipan leaves and rose with a little water and place on top of the cake. 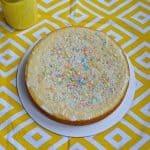 Sprinkle the cake with powdered sugar. 11. Refrigerate the cake until ready to serve. Cut gently into the cake. Note: The cake can be stored in the refrigerator for up to 2 days. 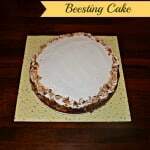 Bee Sting Cake (Bienenstich) for my 5th Blogiversary! Beautiful layers! Your Prinsesstarta looks perfect! Lovely step by step photos also! It looks beautiful! How nice that you could recreate a special memory too. This looks amazing. You should be super proud. I have never heard of this, but would definitely like to try it.